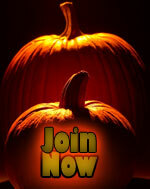 As a horror writer, it’s kind of expected of me that I’ll be enamored of the Halloween season. And it’s no secret that I am! But I loved Halloween long before I became a writer. Even as a little kid I looked forward to Halloween as much as I did Christmas. I was a high school junior, and my esteemed institution was holding a Halloween-themed open house. The classrooms were crammed with the usual flaccid haunted house stuff: “Come inside kiddies, feel the witch’s guts.” (Bowl of cold spaghetti). Her eyeballs—hard-boiled eggs. Yawn. Lee Murray: We’ll probably shock our American colleagues by saying Halloween isn’t really a thing down here in New Zealand. No neighbourhoods of kids out Trick or Treating. No pumpkins on the doorstep. For HWA members this is akin to blasphemy. Do you think they’ll revoke our memberships? Halloween is a magical time for children. October chill fills the air, frost glittered pumpkins wait in the patch, and disguised friends roam the streets. Halloween traditions increase the enchantment. In my family, one ritual stood out above all others. This was the Halloween ghost story. The 70s were a scary time to be a kid. It was an era of urban legends, UFO sightings, Bigfoot, and demon possessions. In my town, our urban legend was the Goatman. Half-man, half-goat (obviously), he lived in a derelict shack in the woods behind my elementary school. According to those who had “seen” this creature (usually older kids), it had the head and chest of a man and the body and four legs of a goat. And he would kill you if he caught you. This year marks the Horror Writers Association New York chapter’s first Halloween without the Morbid Anatomy Museum since we reformed a few years ago—and the dark country of October feels emptier without it. I live near the Mount Olivet cemetery with its own claim to fame. It is where the Titanic victims were buried. I often visit there, and stroll near the graves down a path littered with tree roots, dead leaves and rotted apples. Apple trees grow on the other side of the stone wall. Though the trees appear to grow in and out of the cemetery. A brook runs on the other side of the cemetery. The brook gurgles. I like to think of it as a vessel for spirits to travel to the Underworld. This Halloween, I decided to try out something new that had always scared me: dictation! I’ve wanted to try writing my books by speaking the words aloud and see if that would speed up my process, but I was always worried at how bad it would come out. This time, though, I was determined to make it work. So, I got my microphone, downloaded the dragon software, and set about making it work. I was only twelve at the time, but I remember thinking that haunted house in The Enchanted Forest, a theme park our family happened upon during a family vacation, was the most terrifying experience I could encounter. The walk-through building had actors popping out at every turn, haunting audio-visual effects, and a final room that required its visitors to find an escape door in pitch darkness. The level of fear had bled from fun to uncomfortable, leaving me feeling unsettled but safe. I never expected the real terror that lay just ahead.